Your Jr. Engineers will love this Book Build Class! 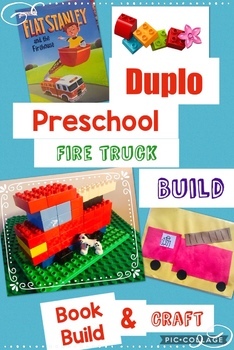 In this fun pack you will find a class out line with a Storytime book suggestion, a craft printable for students to create a sweet take-home, and full instructions for an exciting Fire Truck Duplo® build.